Shaving foam, deodorant or dry shampoo, cosmetics are no longer counted as an aerosol. However practical it may be, this system, sometimes composed of flammable propellant gases, does not always have a positive environmental impact. But that was before! 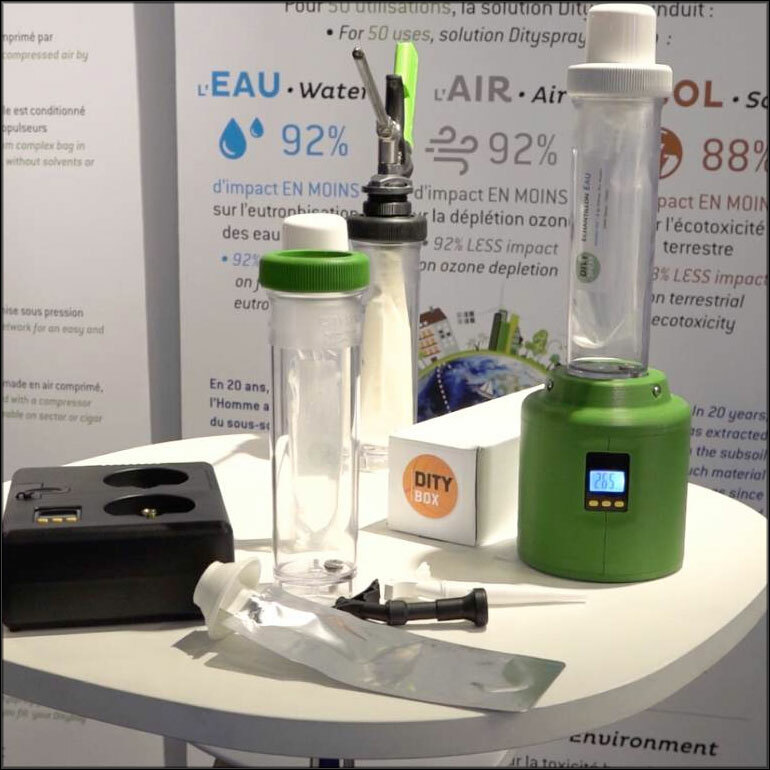 At the ADF/PCD exhibition in Paris on 30 and 31 January, Jean-Luc Beurq, from Inospray, presented his “green” aerosol system. A non-polluting and reusable aerosol? No, no, it’s not a dream, but the innovation presented by Jean-Luc Beurq at the ADF/PCD show. What’s his little name? Dityspray, a system for packaging and distributing viscous or liquid products, whether they are food, cosmetics or other. This solution uses compressed air as a propelling force, unlike other aerosols that have composed of butane or propane gas. Jean-Luc Beurq says that “the Dityspray system is intended for end users, they can create their own aerosol and put on pressure whatever they want”. ### How does it work? To summarize, in a few seconds, the consumer places the product in the case, pressurizes it and ends up with a ready-to-use aerosol. If, at first reading, pressurizing your own aerosol is not the invention of the century, it would be a good idea to look a little more closely at the benefits.